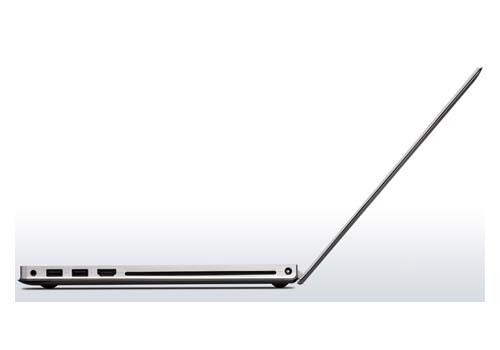 Lenovo IdeaPad U400 book-shaped notebook is ultraportable and yet uncompromised. This laptop is powered by 2nd genartion Intel Core i3/i5/i7 processor. It has 14-inch ultra-slim display with a resolution of 1366 x 768, up to 8GB DDR3 memory, up to 1 TB HDD, Bluetooth, Wifi, two USB 2.0 ports, one USB 3.0 port, and 1.3 megapixel webcam. The Breathable Keyboard allows air to enter through the keys. Enhanced Experience 2.0 with optional RapidDrive SSD technology boots Windows in as little as 17 seconds.